4 x 4" 4 x 5.65" 6.6 x 6.6"
The Schneider 6.6 x 6.6" 3mm Gold True-Streak Filter is designed to be used perpendicular to a point light source such as the sun, a light bulb, or a candle. Within the filter's glass is a combination of fine line types whose action is limited to point light sources. Upon those light sources, those lines create the effect of a scene or image that has been recorded with an anamorphic lens and then displayed using a complementary reverse projection lens. This can result in prominent, elongated streaks that are symmetric and extend horizontally from each point light source to draw attention to a specific part of the frame, or to create a visually dramatic effect. Many cinematographers and photographers find this effect desirable and the Schneider 6.6 x 6.6" 3mm Gold True-Streak Filter is intended to allow such highlights to be easily reproduced when using optics that do not have an anamorphic design. This filter renders the streaks it helps to create with a gold hue, instead of the blue highlights generated when using traditional anamorphic optics that are not designed to suppress streaking. True-Streak Filters that are formulated to create red, orange, yellow, green, blue, pink, or violet banding instead of gold are also available, as well as Clear True-Streak Filters that can allow existing colors or lack of colors displayed by point light sources to be maintained. Alternatively, when a Rainbow True-Streak filter is applied, streaks extending from point light sources each assume the characteristics of a continuous spectrum. Elongated streaks from intense light sources may contain up to seven, sequential red, orange, yellow, green, blue, pink, and violet colors. Shorter streaks corresponding to less prominent sources of illumination may display a more limited number of colors which are determined by their relative position within the frame. 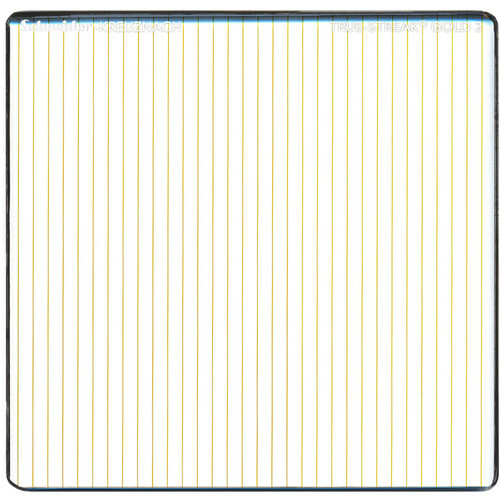 The line types within this filter's glass are placed 3mm apart from each other. 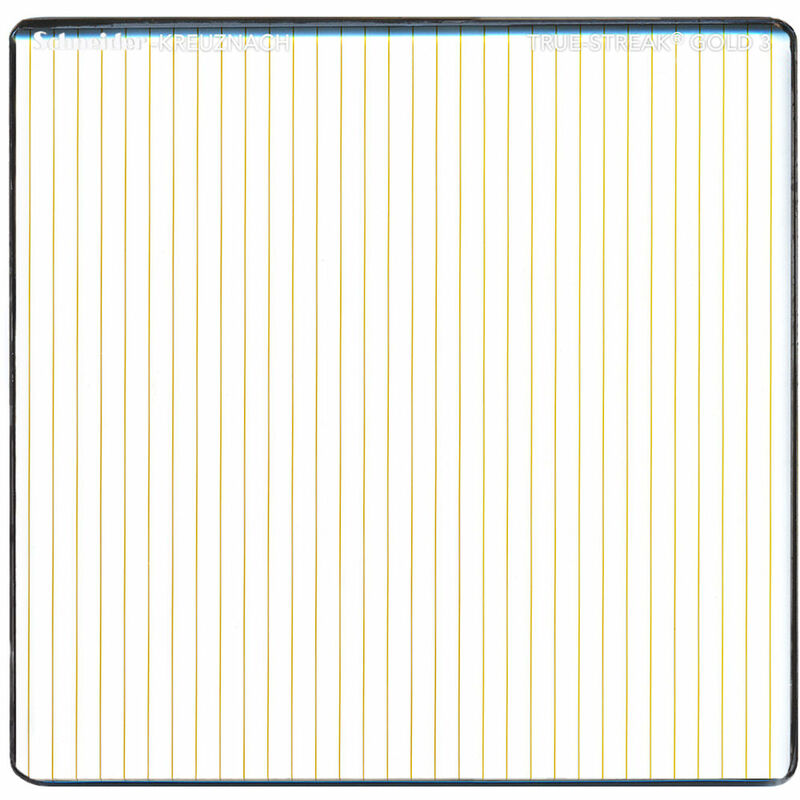 True-Streak Filters with spaces of 4mm, 2mm, or 1mm between their lines are also available where this filter type's effect becomes progressively stronger as the spacing between those lines is decreased.